Rochester chiropractor Dr. Brent has been a clinician for well over a decade. Since he's been practicing at Maday Chiropractic in Rochester MN, Dr. Brent has promoted the message that chiropractic care is about so much more than simply relieving low back pain and other conditions, even if it is an important part of his services! Truthfully, chiropractic care can enhance a person's overall wellness and quality of life. Everything Dr. Brent and the rest of our team do in our clinic is geared toward creating a healing environment. Nowhere else is this more evident than with Dr. Brent's approach to spinal adjustments. Using hand held tools and well-practiced manual techniques, Dr. Brent can gently assess, treat, and maximize a person's spinal health through adjustments. 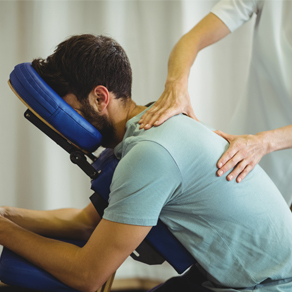 It's not about "cracking the back," but rather optimizing spinal joint alignment, reducing pressure on injured discs, nerves, and joints, and facilitating an improved brain-body connection via the central nervous system. Massage shouldn't only be viewed as a luxury. This technique can drive faster healing, reduce inflammation, and promote pain relief from a wide range of conditions including low back pain, sciatica, muscle strains, and more. Dr. Brent uses massage to help relax and rejuvenate a person's body and mind, while also increasing circulation, breaking up mobility-restricting adhesions and scar tissue, and promoting improved tissue oxygenation. Corrective exercises prescribed to meet the individual needs and goals of the patient can enhance the restorative and realigning effects of spinal adjustments. Dr. Brent analyzes each patent's posture and body mechanics, and then teaches exercises that will address areas of weakness, instability, energy inefficiency, and more. Exercise and movement is an essential component to overall wellness and can drastically influence a person's return to work or play. Have you ever thought about how the way you stand, sit, work, sleep, eat, manage stress, and/or perform daily work duties are affecting your health or contributing to a current health condition? Dr. Brent helps his patients learn about ways to optimize their health and healing by improving lifestyle factors outside the chiropractic clinic. Low level laser therapy is a non-invasive healing modality that enhances other chiropractic techniques. Non-thermal light waves interact with damaged tissue to accelerate healing, reduce pain and spasms, and increase cellular metabolism and repair. Could Chiropractic Services Be the Answer to Your Pain? If you're ready to find relief from low back pain or another health condition and are wondering how chiropractic care can help, contact Maday Chiropractic at (507) 424-3226 to schedule a FREE first-time consultation with our Rochester chiropractor, Dr. Brent!